Coastal Bend College recently received a grant totaling $2000 from Coastal Bend Community Foundation for the college’s dental hygiene program. Coastal Bend College Dental Hygiene student Lindsay Cathy checks the periodontal health of an FMC Elementary School third-grader. The students use a portable lab to perform community outreach work at area schools and nursing homes. CBC students and faculty in the dental hygiene program provide services to at-risk youth and elderly residents in Bee County. Support for this program was provided by grants from the Coastal Bend Community Foundation. Students and faculty take portable units to area schools and nursing homes to provide dental care and awareness. They are currently working with third-graders at FMC Elementary School in Beeville. They will move to Thomas Jefferson Elementary School next. Throughout the year, teams will visit are nursing homes and schools to provide services including oral cleanings, sealant applications, x-rays and dental referrals. “The grant received from the Coastal Bend Community Foundation will be used to purchase the toothbrushes, educational materials, and other preventive aids given to patients,” said CBC Dental Hygiene Director Andrea Westmoreland. Last year, dental hygiene students visited Pettus Independent School District and placed sealants on teeth at risk for decay as well as performed cleanings on the participating third graders. In the spring they treated residents of Hacienda Oaks Nursing and Rehabilitation Center in Beeville. They continue to build relationships in the county that foster good dental health and increase the students’ connections with at-risk patients. Field work for students provides them opportunities to practice and improve the skills they learn in the classroom and to have a positive impact on community health. 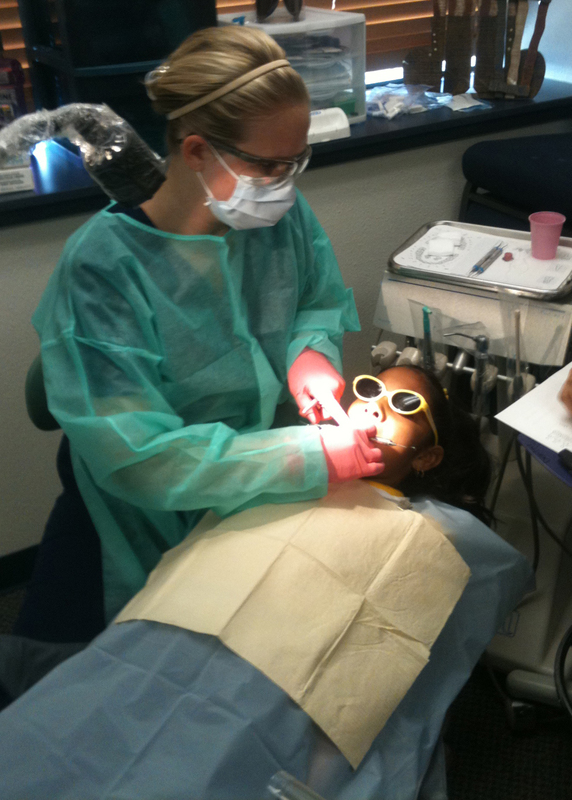 Clinical work is a large component of the dental hygiene program. Coastal Bend College student Grace Avila-Perez, a dental hygiene students, provides preventative oral care to one of dozens of elementary school students seen recently by dental hygiene students. 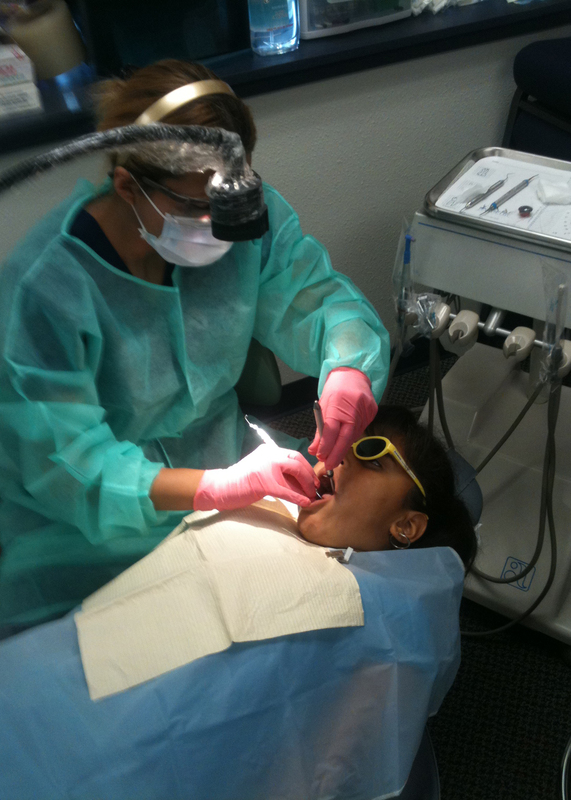 For more information about dental hygiene or to schedule an on-campus clinic appointment, call (361) 354-2555. Clinic hours and fees are available on the web at www.coastalbend.edu. The Coastal Bend Community Foundation was incorporated in 1981 with the mission of enhancing and improving the quality of life in the seven counties of the Coastal Bend. The Foundation serves donors by providing a vehicle for the establishment of various types of charitable funds designed to fulfill their wishes. Since its inception, the Foundation has distributed more than $65 million from donor contributions and revenues to scholarships to students and grants to nonprofit organizations.